You’ve chosen the destination and planned your route – now all you have to do is pack. But what essentials do you need to secure your Duke of Edinburgh’s Award? When it comes to expedition preparation, staring at an almighty to-do list can seem a little overwhelming. That’s where our Essential DofE Packing list comes in. Discover our definitive list of outdoor essentials and tackle the great outdoors with confidence! Learn more about our partnership with DofE here. 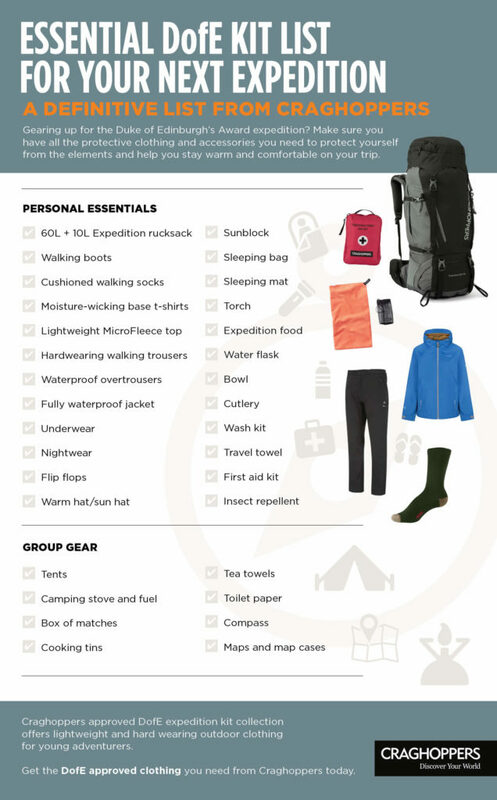 Download your printable DofE Expedition Checklist here.